I have had a very busy year with my Staging & Interior Redesign business in Boulder Colorado. The staging side of the company is steady, because people are always going to be buying & selling homes. But the redesign department has really taken off. I think redesign and repurposing are very big right now because of two things. One, the down turn in the economy has made everyone rethink major purchases, so people are reluctant to buy things they don’t really need. And two, being environmentally responsible means doing away with the “disposable” mentality and making what you have work with new creative solutions. I tell people “When you feel your living room is looking tired and in need of new furnishings, try starting with fun new lampshades, throw pillows and modern accessories.” A new paint color can also do wonders. Also…move things around! Switch out furniture, art, accessories. Frequently no money is spent at all but the house looks completely different! Gone are the days of matchy-matchy rooms anyway… rooms that incorporate different design styles are far more interesting. Integrating the old with the new. 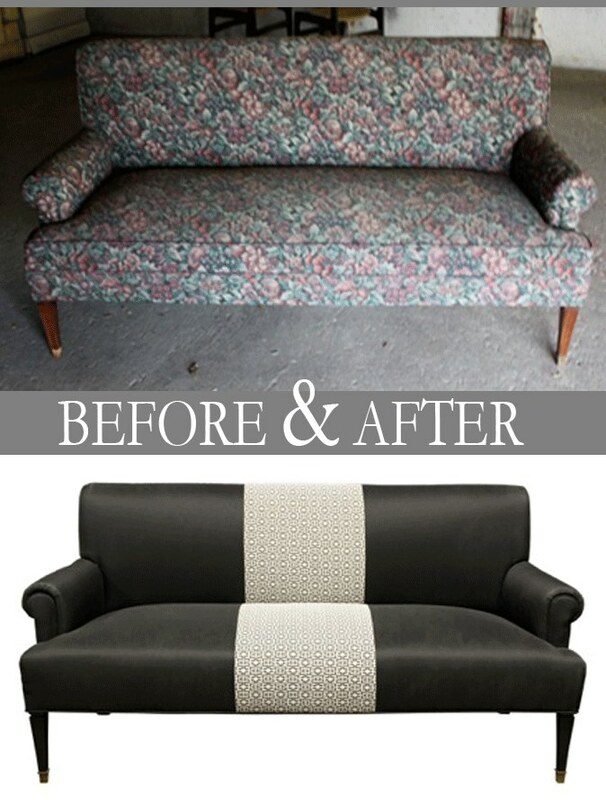 The photo to the left is a perfect example of what a new updated fabric can do to an old piece. Pair modern art with rustic decor. With accessories, think fewer, larger pieces to make a greater impact and avoid that cluttered look. And if you have investment pieces with lasting appeal-don’t get rid of those! Repurpose them in other rooms of the house and see where things look best.